In the last twenty years Crifasi Real Estate has been among the leaders in commercial sales and leasing throughout Naples–Collier County. The company has sold office buildings, shopping centers, and raw land. The company has sold more commercial raw land than most any other Collier County real estate company between 1997 to 2007. Crifasi Real Estate was one of the highest grossing real estate companies for the sale of commercial raw land in the history of Collier County for that period. The company has helped numerous property owners in the acquisition, or disposition of their investment properties. The company has represented clients from all over the world, including some of the largest developers in the United States. Whether you own a strip center or large community shopping center, Crifasi Real Estate has the knowledge, experience and flexibility to adapt to each owners expectations. Jack Crifasi has earned an outstanding reputation from his clients and competitors alike for his honesty, knowledge, experience and expertise. The company’s most significant growth within the past decade has been concentrated in Naples and Southwest Florida. 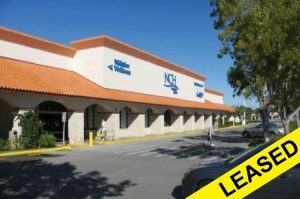 The company’s headquarters, located in Naples, Florida, is active in leasing shopping centers, retail properties and office buildings. The company works closely with owners as well as national and local tenants in achieving their goals. Whether it be a smaller 1200 sq. 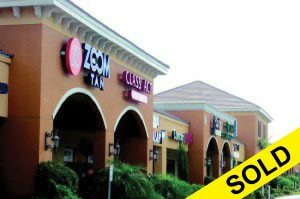 ft unit for a tenant seeking space for a hair salon or an owner who is leasing a 50,000 sq ft space for a major anchor, Crifasi Real Estate finds solutions for both landlords and tenants. Crifasi Management is focused on providing over two decades of commercial property management expertise to both owners and tenants. By choosing Crifasi Management, you ensure that your investment is being managed by a company that has management as its primary focus. The company provides efficient management procedures and policies while providing extraordinary customer service. We understand that different properties need different approaches to property management and our team is flexible and innovative. Property maintenance is such an integral part of a well-managed property. Crifasi Maintenance is a full-service maintenance company dedicated to serving owners and managers of commercial properties. No property is too big or too small. We recognize the importance of dependable and consistent commercial property maintenance for our clients. We understand that ongoing repair and upkeep of our client’s properties is needed to maintain property value as well as to ensure proper marketability for renting or selling. We consider curb appeal and proper maintenance as a vital component for effective property maintenance.